With 15 years litigation experience Chris has been involved in many substantial and interesting cases ranging in value up to several million pounds. Where necessary Chris has guided clients through the complexities of the Court of Appeal. 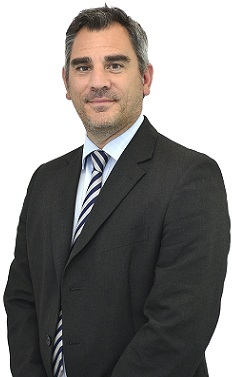 Chris’ objective is to achieve the best result for his client at the least expense; he has experience of settling cases through alternative dispute resolution including mediation. Before joining Wace Morgan in 2009 Chris was head of the commercial litigation department at a firm in Telford and before that worked as a litigation solicitor for a major practice in East Anglia. Clients comment that Chris is ‘very professional’; gives ‘good advice’ with an ability to ‘handle delicate situations very well with good results’. Chris is a member of the Professional Negligence Lawyers’ Association and is an ADR Group Accredited Civil and Commercial Mediator. Away from the office Chris is a keen fan of most sports; he enjoys a regular game of football and golf and spending time with his young family.